Custom, hand-engraved, leaf ring made of 18KT yellow gold. 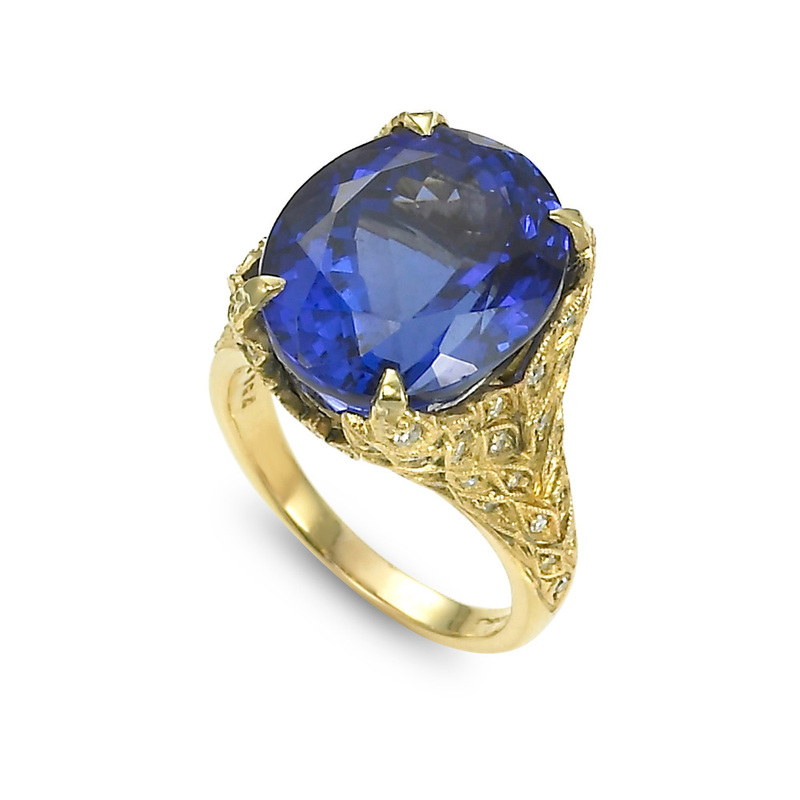 Gold leaves are accented with diamonds, and ring is set at center with a faceted oval Tanzanite weighing 17.02 carats. Signed Meriwether. Size 6.5.